Paris might have its historical props when it comes to its reputation as a city of romance, but London isn’t any slouch when it comes to special experiences for loved-up couples either. The image of London might be one of hurly-burly and constant activity, but there are plenty of things to do and places to go that strip away the commotion and give you the time to enjoy each other’s company in peace. So, with this in mind, we’ve come up with three romantic ideas that you can get to with ease from The Devonshire London. London has more theatres that almost any city in the world, from the grandest, old playhouses to modern spaces aimed at contemporary talent. But there’s not much that’s more romantic than taking in a play as evening slides into the night, and that’s just what you can experience at Regent’s Park Open-Air Theatre. Framed by natural elements – trees push right up onto the staging area – Regent’s Park is the perfect place if you love theatre and want to experience great productions in the outdoors. 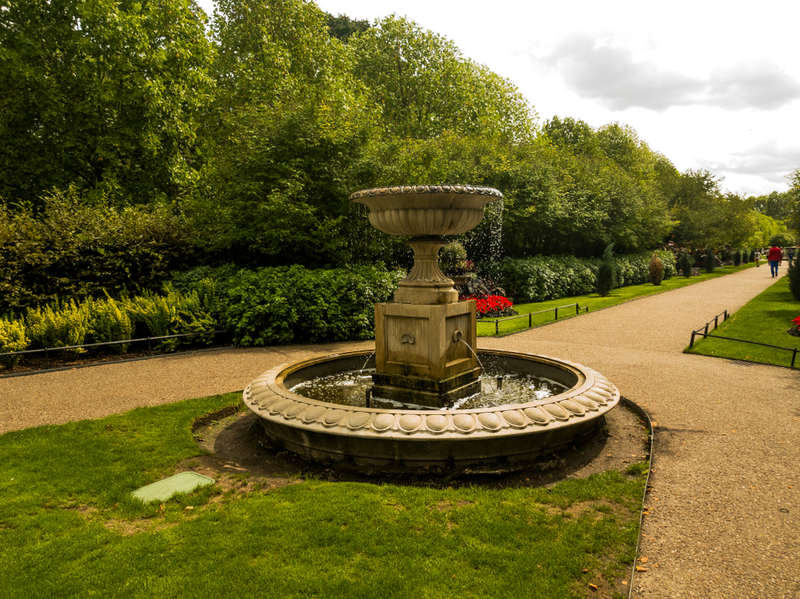 And it’s not far from accommodation near Paddington Station, which makes it even better. Just make sure you bring a coat or jacket, because the British weather is famed for its changeability and it’s no respecter of good theatre either! Westminster rightfully has its place in history as the home of parliamentary democracy, but it’s also one of the best sights in London to take in as the sun is setting. It might be a world-famous sight, but the riverside setting also makes Westminster the perfect location to watch the day come to an end. 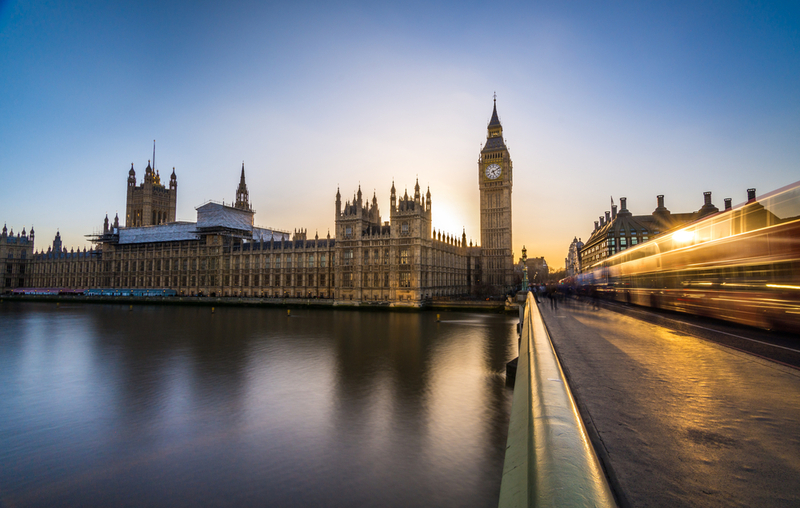 The neo-gothic architecture of the Palace of Westminster takes on an even more glorious, awe-inspiring experience during the golden hours of dusk, making it a perfect place to take up station and simply admire the view. It’s the type of place you look back on in years to come and recall fondly, remembering the views across the gentle Thames as the sun disappeared over the horizon. If that’s not romantic, we don’t know what is. And, if you’re peckish after your excursion, you don’t have far to go to The Devonshire Restaurant. Cuddling up at the cinema with someone you care about is always a treat, but it’s even better when you can do it outside in a unique location – and that’s just what Nomad Cinema offers. If you’ve ever wanted to watch a horror film in a cemetery and cuddle up close, this is the experience for you. The idea of Nomad Cinema is to stage showings of classic and modern films – September will see Pan’s Labyrinth, The Shining and The Shape of Water on show at various locations – in places like rooftops, hidden spaces and cemeteries. It’s a great chance to wrap up, see a great film and enjoy a romantic night at the movies with a twist.